Enclosed in glazed curtain wall with high performing low-E coated insulated glass and a unique system of sun shading have that help to achieve a considerable of energy savings. 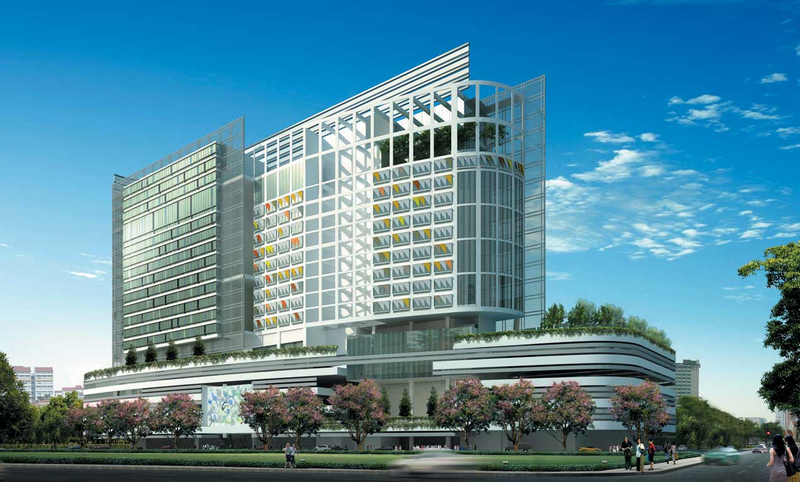 Connexion is the world’s first truly integrated healthcare and hospitality complex comprising a top-class specialist medical centre, a tertiary hospital, a luxury hotel and a ground-floor retail arcade. It is built directly above Farrer Park MRT station, comprises of a six-storey podium and two 20th storey high rise wings. Meinhardt provided façade consultancy services to the Facade Contractor, including review of technical submissions with site and factory inspections.